Sometimes a Clam just Dies. After months, perhaps even years of research I decided to take the plunge into clam ownership. I started preparing my tank months in advance, by implementing weekly water changes. I wanted to make sure that my clam was happy from the get go. Not to mention, I also have a huge fear of failure. 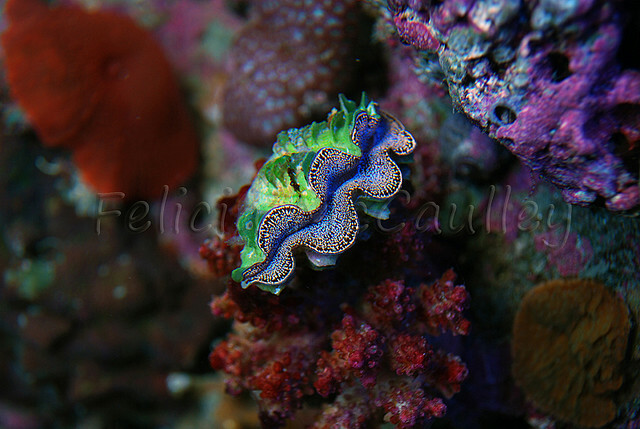 The delivery day arrives, and my new blue maxima clam opens up immediately after a long and steady drip acclimation. I was shocked at how quickly it made itself at home. After a few days, and light cycles, the mantle was fully extended. He is light and shadow reactive, which is a great sign of health. You could say that things were going swimmingly well. I have read many pro and anti phytoplankton dosing articles and decided that with a well established tank with both T5s and Metal Halides I should be okay. Anyway, most of the research for maxima clam’s dietary needs seemed to be subjective. Months had gone by and he seemed to be, pardon my pun “happy as a clam”. This was true until a few days ago. I was taking my nightly inventory, and noticed that the clam’s incurrent siphon was more open than usual. Several thoughts crossed my mind as to why this could be happening. One, I recently used AptasiaX near the clam. Two, the flow might be too strong. I adjusted my flow, and made sure that the appropriate amount was hitting the clam. Unfortunately, with clams once a sign of illness occurs, there is nothing that you can do to remedy it. It becomes a waiting game that usually ends in the death of a bivalve mollusk. As the days progressed, I decided to do the final check one can do to discover if a clam is on its way out. I checked the feet of the clam and they were indeed detached, and had become a stinky brown slug-ish material. The end was near. I decided to remove the dying clam, prior to any huge releases of decomposing material were spread throughout the tank. When I removed him, I could smell my failure. Rotting clam is not a smell that is easily forgotten. It all began with a gaping incurrent siphon, and within a matter of days it was over. I scoured the internet for answers. I researched every possible complication, and could not come up with a single connection to place the blame on. It was then that I read s great line that could benefit all of us obsessive hobbyists, “sometimes a clam just dies”. If you have any clam related tips, please add them to the comment section below. Did you ever inspect the clam for pyramid snails by chance? I know they can slowly kill off a clam.